No many know this but Google Earth had a bigger brother called Google Earth Pro and while the ‘lil sibling was free, getting the pro version was $400/year. No small change. 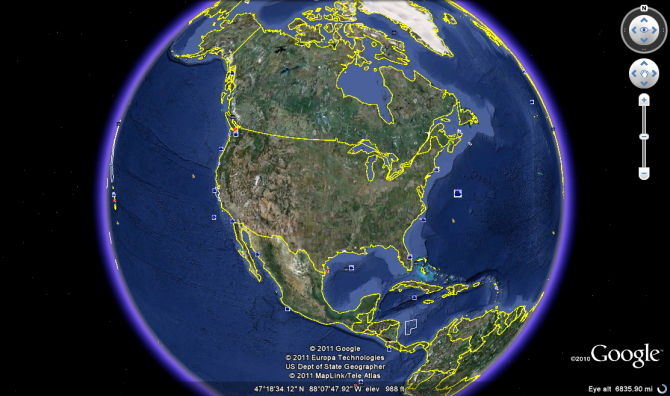 I guess there were not too many hoppers on that offer and now Google is releasing Google Earth Pro for free (right here). That is a steep $400/year (or 100%) drop making Pro available to everyone. What can you do with the pro version? For starters, you can export bigger images, the regular version supported only 1000×1000px photos, while the pro version enables you to dump 4800×3200px photos which should be good enough for 4K resolution. The pro version also enables to capture HD videos of the view you are seeing on screen. (Pro also enables batch address import and better distance measuring, but I guess that only applies to traveling photographers). The fact that Google Earth Pro is now free does not mean you do not have to get a key but you can easily get one on the form here. I did this, but it was still indicating that it was a trial version and the key code it supplied was also a non permanent one. So this looks like just another advertisement to me. I dont know when the trail period ends though?